The holidays are a time of family, food, fun — and shopping! If you’re going to be at Club de Soleil during the Thanksgiving holiday, make sure to take advantage of the incredible Black Friday deals and events happening throughout the city. Here are a few helpful tips to make sure you get the most out of Black Friday in Las Vegas. It is never too early to plan ahead for Black Friday shopping. As many stores open hours earlier than usual, it is important to do some research online ahead to time to confirm. Also, some stores may offer special sales, discounts and other promotions for the first group of customers in the store. Knowing which stores you want to visit can be immensely helpful when it comes to creating an efficient shopping itinerary. Many Las Vegas retail stores offer special coupon codes and promotions for customers who visit their social media pages. 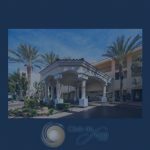 For example, Las Vegas Premium Outlets (both North and South) have Facebook pages where customers can learn about seasonal events, sales, and deals. This is perfect for high-volume shopping days like Black Friday. Price-comparison apps like Purchx, Red Laser, and Shop Savvy give you a fast and easy way to compare deals right on your smartphone. Don’t fall into the trap of shopping on the Strip this Black Friday. Not only will it be packed with people from morning to night, but you may not find the best deals there. Although the Vegas Strip is a dazzling destination sure to enthrall any visitor to the city, it’s not necessarily the cheapest place to shop. While you might want to stop here for a souvenir or two, save the bulk of your holiday shopping for the more affordable stores in the area. Las Vegas is home to some fabulous outlet malls — notably, Las Vegas Premium Outlets North and South. At these outlet malls, you’ll find the brands you love marked down 25 to 65 percent (or sometimes even more) below regular retail. On Black Friday, you’re guaranteed some amazing once-a-year deals with these and other outlet malls in the city. With an amazing array of stores, it is easy to find gifts for everyone on your list. Shopping on Black Friday can be overwhelming, but these tips will help ensure you can get what you want from the busiest shopping day of the year.